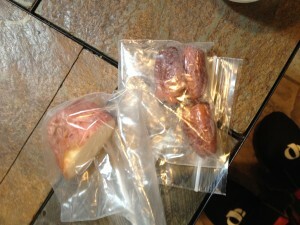 When I work with athletes or non-athletes, they are always looking for short cuts on how to make quick meals. I always suggest to make foods ahead of time. make more than you need especially proteins, so you cook once and have it on hand for a few more days (or freeze what you cannot use in 24 hours). Planning ahead is a big key to eating healthy. I personally think about food all the time, and what my next meal will be. So for me this part is easy. And baked potatoes is part of that 'making it easy' and "planning ahead" part. I also realized, I have time to make them before I head out the door for my run. Yes, there is time to wash the potatoes (I just use a brush and dish soap and rinse completely), then cut a slit into them with a sharp kitchen knife. And then I put them onto the baking rack in my toaster oven. Yes, the toaster oven! It has a wonderful contraption called a timer. So then the timer shuts off, the oven shuts off. And it is smaller than my oven which has no timer feature. 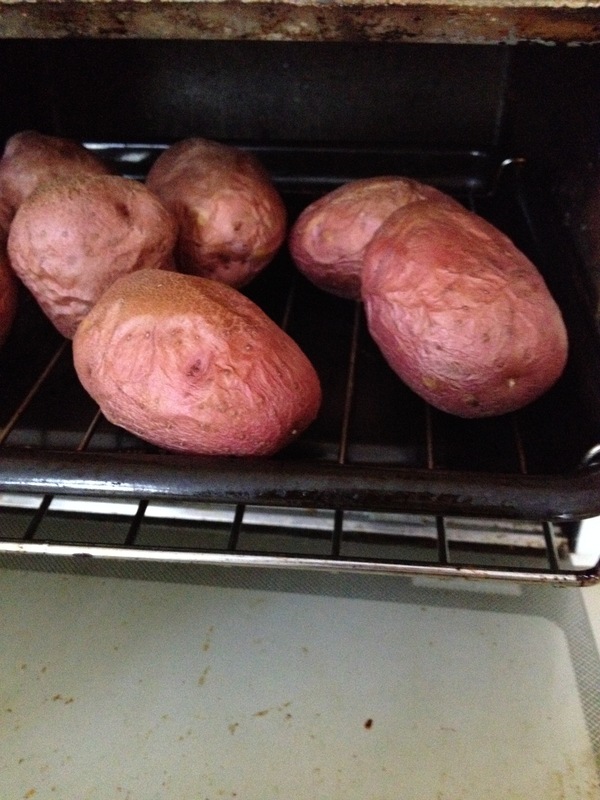 So I put the 8 medium sized red potatoes (I do prefer organic ones, although they are not always accessible), turn the oven option to bake and set to 325* F. Then I close the door and turn the timer, which turns the toaster oven on, to 60 minutes. It may take less time in a regular oven, but my toaster oven isn't really baking at 325, even if i set it at 450! So I keep them in longer. The beauty of using a toaster oven with a timer, is you can leave once you turn it on. And the potatoes are baked when you come back! Today, I went for a run outside and when I got home, yummy baked potatoes which were still warm! My favorite is to cut them in half, and put real butter on it with a bit of sea salt. Creamy goodness! Red potatoes also are great eaten when cold. The others like yukon golds are only good fresh. The next day they have a weird texture which is only good in a potato salad or made into a hash of some sort in a frying pan with ghee. Sweet potatoes can be made the same way. But then if you over cook them, they are a mushy mess. The red potatoes don't seem to have this issue when overcooked. They still keep their shape. This is also the reason I pack them in my cycling kit for snacks when riding! Quick fuel. Easy to digest. Easy to absorb carbs and will never create any stomach upset. Perfect quick fuel! Even for a snack, I put cashew butter on them to carry me over til the next client. Very portable! And they last 3-4 days in the fridge, too! 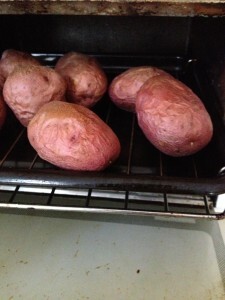 Next time you need a quick snack or addition to a meal, throw in a few baked potatoes into your toaster oven so you have your baked potatoes ready for when you need them! I will try to post some easy-to-make options in the future. If you have any questions regarding quick meals, snacks or sports nutrition fueling, feel free to email me at joanna@nutrition-in-motion.net with your question....and let me know you want me to post and it is okay for me to post my reply here! Or call me at 215-272-6774.